With skill, efficiency and affordability, we repair Druck pressure instruments, which are part of the GE product family. Transcat offers knowledgeable sales and specialized service for a number of brands featuring GE technology, including advanced Druck pressure calibration equipment. Our accredited calibration laboratories, located across North America, also perform industry-leading calibration services on Druck instruments. You’ll find that our repair technicians have extensive experience and training, which has uniquely prepared them to restore this brand of equipment to full functionality. We’ll return your essential Druck device to the optimal capabilities your operations demand, in many cases with faster service than through the original manufacturer. 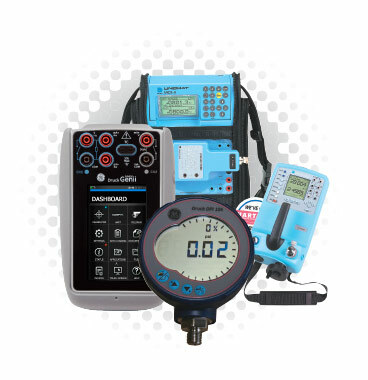 Rely on our resources to ensure the proper performance of your Druck digital pressure gauge, handheld pressure calibrator, or intelligent calibrator/communicator. Flat rate pricing is available on a wide range of instruments, with low-cost repairs on units that do not fall into a standard service category. If an estimate is required, we provide it quickly. Following a repair, the unit will be calibrated to ensure conformance to published performance standards. Customers can choose from several levels of accredited calibration. Our network of ISO 17025-accredited calibration labs offer unrivaled industry capabilities, and we provide an accredited calibration certificate with each repair. Your repair can be tracked online anytime, simply by accessing our secure CalTrak Metrology Management System. Our expertise also covers a full range of repair services for tool manufacturers including: Fluke, Meriam, Altek, Transmation, Megger, and more. This means you can send different brands of instruments to a single, trusted repair center. To receive a quote on your Druck instrument repair, please complete our Quick Quote Request Form. You can also use our Live Chat, which is located on the right side of the page, or call Transcat directly at 800-828-1470.